Philadelphia Daily News reporter Will Bunch, in “How a Natural-gas Tycoon Tapped into Corbett,” has helped reveal the tragic impact of massive gas industry campaign contributions on Pennsylvania politics (for the big picture see MarcellusMoney.org, meticulously researched up to the minute by Common Cause). Chesapeake Energy CEO Aubrey McClendon has been bankrolling Pennsylvania’s current gas-loving governor as far back as 2004. 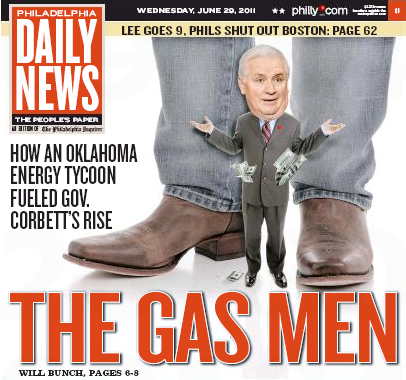 And so the story goes in Bunch’s high-profile article exploring the power relationships behind Governor Corbett’s devotion to the natural gas industry in Pennsylvania. While Bunch begins by raising unanswerable questions of intent and foresight on the part of McClendon, the CEO of Chesapeake Energy, the overall impact of industry donations is unquestionably terrible for the environment and public health. The natural gas industry gave $7,175,234to Pennsylvania candidates and Political Action Committees (PACs) from 2000 through the end of 2010, according to a Common Cause/Pennsylvania (CCPA) analysis released today. $3,442,212 was donated to elected officials currently in office. To gain insight into Corbett’s current love affair with the natural gas industry, Bunch rewinds the clock back to the final weeks of the 2004 race for Attorney General. A game-changing donation of $720,000 to Corbett’s campaign came from “an obscure campaign committee out of Washington called the Republican State Leadership Committee – heavily funded by tobacco and insurance as well as energy companies.” The paper trail made clear that $450,000 of RSLC’s generous donation came from McClendon. This influx of cash enabled Corbett to launch last minute radio campaigns in York and Lancaster counties, which helped him win the state by just 1110,000 votes. At the same time that McClendon has aggressively boosted his pay, state environmentalists charge that Chesapeake has taken an equally hard-charging approach to drilling here, moving ahead with more wells at a faster pace than its smaller rivals – and with consequences for the environment. Chesapeake was among the first companies to secure leases in the Marcellus Shale region, which includes large swaths of northern and western Pennsylvania; in the past three years, one of every six drilling permits in the state was issued to Chesapeake. The firm now has 360 wells here. Bunch also shows it’s not all about the exchange of money and political positioning. Real repercussions result while Corbett plays with the gas companies – with innocent victims. The Bidlack family from near Wyalusing, PA, which leased the rights to drill under their property, said things changed drastically once drilling began in November 2009. About four months into the drilling, the Bidlacks noticed that the dog seemed suddenly addicted to his drinking water – and that he seemed to be ill. [Ed] Bidlack said that his wife took the beagle to the vet but that “it just got worse – he wouldn’t eat, he would shake and he had blood in his stool. He had many issues.” By the fall, the vets had diagnosed the dog with lymphoma – no cause could be identified – and he was put to sleep several weeks later. “For four years, Corbett worked as an attorney and spokesman for the nation’s largest trash-hauling and disposal firm, Waste Management Inc., in which he advocated for his employer to dump massive amounts of out-of-state garbage in Pennsylvania. Governor Corporate, I can not wait to see the Bio on this guy. 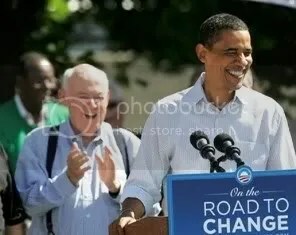 He was involved in the Penn State situation with taking $350,000 from Sanduskys non-profit childs football camp. Helped to pollute the Forrest / Clarion County aquifers with methane from garbage dumps. Selectively prosecuted key political figures to get them out of his way. Pushed an unconstitutional law PL13 2012 taking away the voice of the people through Pre-emption, thereby harming communities to preform their duties to protect the health, safety, and welfare of the communities, community zoning rights, Medical Dr.’s ability to preform their skills with patients, endangering whole communities by permitting dangerous industrial activities next to homes, schools, hospitals , nursing homes, & water supplies, private emminent domain, loss of public lands for private profit, destroying a public school system for private schools promotions, gerrymandering communities for political gain instead of public interest. All of these issues have been, are, or will be in court for review. $11,000,000 has been spent trying to fix an election system that was not broken. 30% of the people vote. 70% don’t. The new rules make voting more restrictive. The sleeping giant needs to WAKE UP !